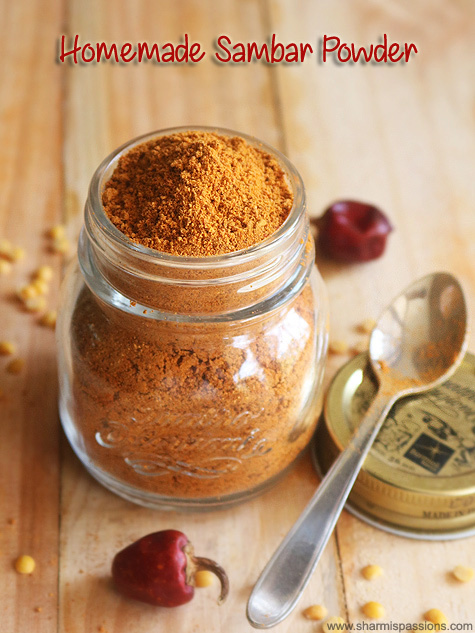 Sambar powder recipe is a must in every south indian household.I am sure everyone have their own version of sambar podi recipe. This recipe is from my mothers handwritten book. As I’ve mentioned already, ammas sambar and biryani is always a hit among our relatives and friends. So thought I should have her sambar powder recipe with measurements here. Measure and keep the ingredients ready. First dry roast red chillies along with urad dal till dal turns golden brown and chillies turn slightly browned and crisp,transfer to a plate.Dry roast pepper until crisp,Transfer to plate.Next dry roast coriander seeds until golden brown,transfer to a plate and set aside. Dry roast fenugreek seeds until golden, transfer to plate.Next dry roast jeera followed by toor dal until golden brown.Transer to plate. Then dry roast chana dal till golden brown, set aside.Finally add mustard seeds let it splutter, transfer to the plate and set aside and cool down completely. Transfer the ingredients to a mixer jar and grind it a fine powder.Allow it to cool down and then store in a clean airtight container. Slow roasting is the key to a good sambar powder.So patiently do it. Mittu just loves sambar especially ammas sambar be it for idlys or dosas she would literally drink it with a spoon 🙂 For her sake, sambar is on our menu at least twice a week. Adjust red chillies according to your spice level 3cups can be increased to 4 cups if you prefer a little spicy. Adding hing is purely optional, if you are adding add a tsp along with mustard seeds. 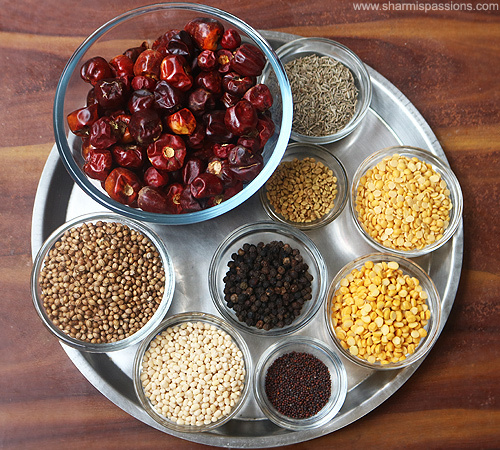 The color of the powder purely depends on the red chilli variety.Also always fry red chillies along with the dals to avoid blackening…if the red chillies turn dark/black then it will affect the color and taste of the sambar powder too. If you are grinding in bulk you can give it to mill for grinding which will give a more fine powder too. This quantity I’ve given here lasts for 6-7 months for us.I usually transfer half of it to a separate container and store it for later use sometimes I refrigerate it.For daily use I use a small container in the kitchen. Wowwwwwwwwwwwwwww.. Amazing pictures dear.. love the presentation too.. thanks for sharing !! PS: Cannot wait to see the oats appam recipe. Phew! Finally I got a good recipe for home made Sambhar powder, thanks Sharmi! Going to try it this weekend! 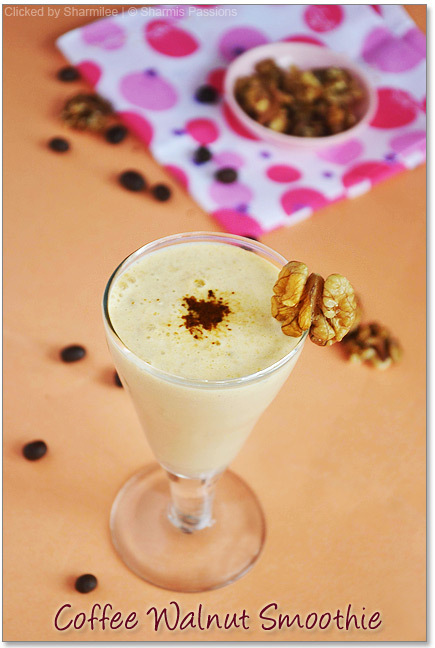 Nice podi,thanks for sharing..wonderful clicks dear..lovely presentation. I like the homemade podi too. I make sambhar for my daughter, she loves having with dosai & idli. 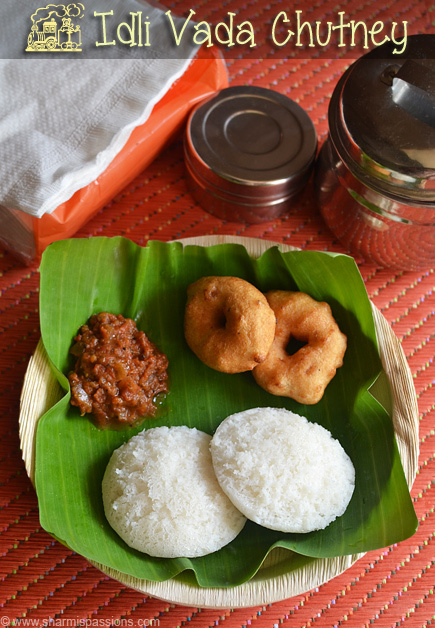 Amma`s recipes are always the best. I remember amma making Sambhar powder from scratch during our childhood days.Now of course,with so many good brands of Sambar podi available in the market,she doesn't make it anymore.Love the clicks,esp the jar! I agree with Divya, my mom used to make them from scratch too and my eldest siser does the same too, but i always use shop bought ones, even though nothing can beat home made powders, this looks so so good. Lovely color for the sambhar powder! Homemade masalas are unbeatable! A great post with beautiful pictures! Naanum mittuvum ore katchi, sambar na yennakum Uyir..Needless to say i cant survive with this powder..lovely clicks.. 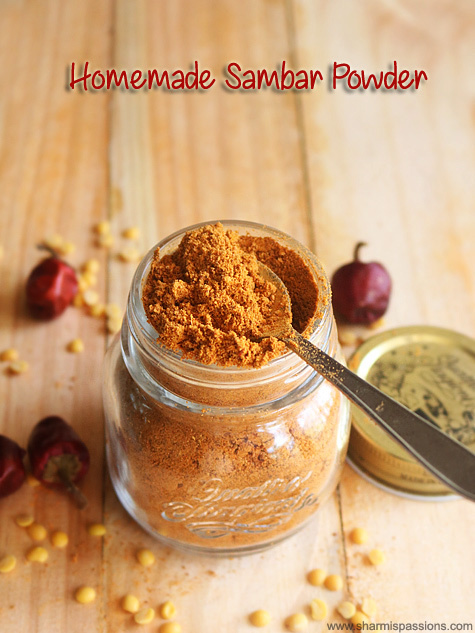 I use sambar powder for everyting.. not just sambar… Must try your version sometime. I am so babied by my Mom's sambar that I have started making the podi it at home. Just love the way kitchen smells when we roast and grind them. Lovely pics as everytime. Home made spices are so much better than shop bought ones. Love the jar, spoon, pictures and of course the sambar podi too. 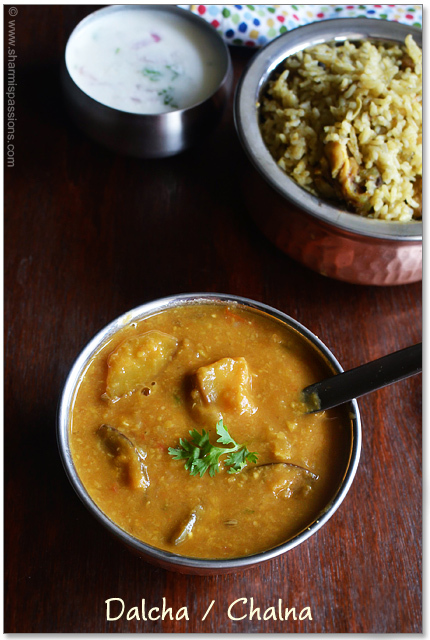 Makes it easy to whip up sambar in a jiffy. Thanks for the recipe…Sambar powder looks super!! Yours pics are always very beautiful… loving 'em..
wow…wat lovely presentation….look so rich…hands down sambar is my fav curry….but i have never made the powder at home…would love to give this a try…. Lovely pics…sambar powder tht to home made is always the best! This is new to me. Thanks for sharing the family recipe. nice click n presentation! nice sambar powder! 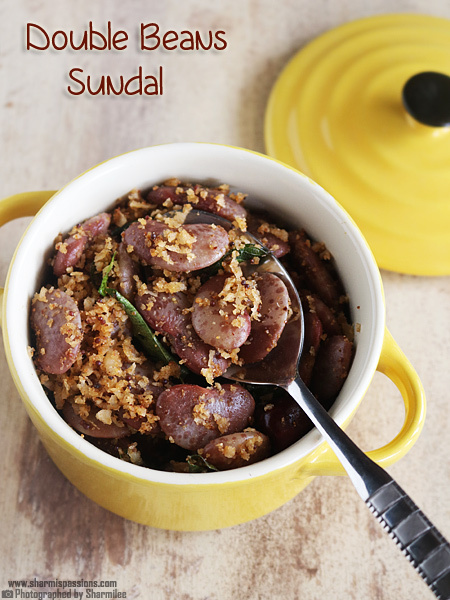 A staple ingredeint in south Indian kitchens. 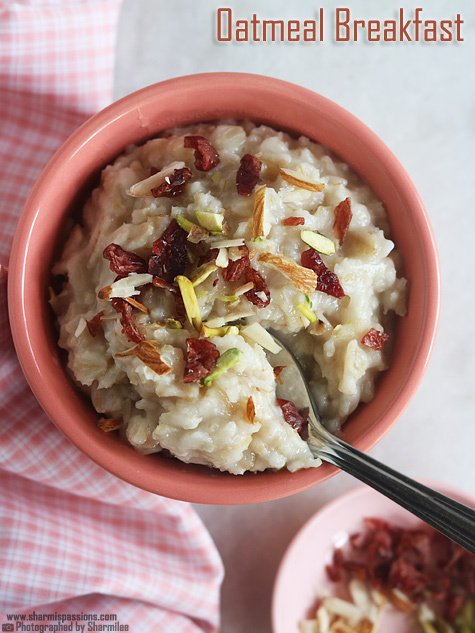 Thanks for sharing your mom's authentic recipe with us — I'll try it soon! Is it 4 cups of red chili ?? @Manju : Just noticed I've missed it, now added it. Thanks for noting down and letting me know! How to measure Red chilli exactly in cups?. Can you please tell it in grams? I use only measuring cups and am really not sure of the gram measures here.. But you easily measure red chillies in cups as you measure the other ingredients..
hardly 10 chillies fit in the cup. DO we have to break it and measure? thanks a lot for sharing ur mothers sambar podi receipe. It was a hit. Good work. Plz give the receipe of your ammas biriyani receipe also. hi, do you wash the dals with water before dry roasting it? thanks for sharing your recipes. hi … i don't have coriander seeds,but instead i have coriander powder. Can i use it ? if yes what should the quantity be ? 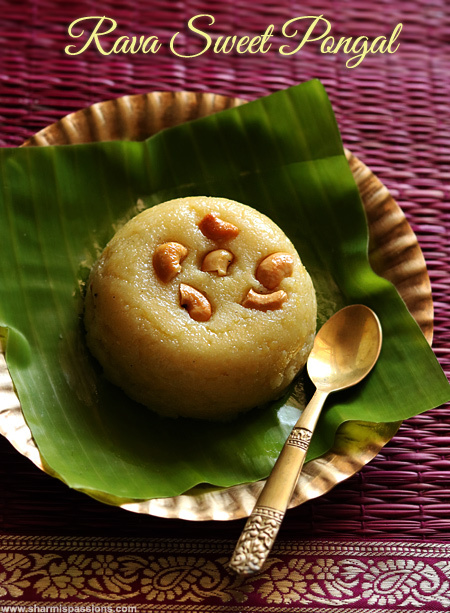 I have not tried it yet, but had a question – is this version good with idli/sambar only and not with rice? Am asking coz I have couple of tamil friends who had one version for tiffins and a different one for rice. Dont remember the difference though. This sambar powder is mainly for lunch sambar….usually for tiffin sambar we dont use sambar powder or make instant roast and ground powder….but no harm you can use this powder for tiffin sambar too….Attimes I have used this too and it tastes great. Quality remains the same only…the only thing is that if we use mixer it will be a little coarser, when given in mill we get fine powder.But for smaller quantity we can grind using mixer itself. Your blog gives a detailed description of the procedure with pictures…Great….In step -3 of the above method, the description says Coriander leaves.. It was bit confusing for a moment.. but then,the picture goes perfect with the coriander seeds…So, its Okay.. I was about to make the sambar powder but wanted to ask if I need to soak the ingredients for 6-7 days under the sun and then start the preparation. 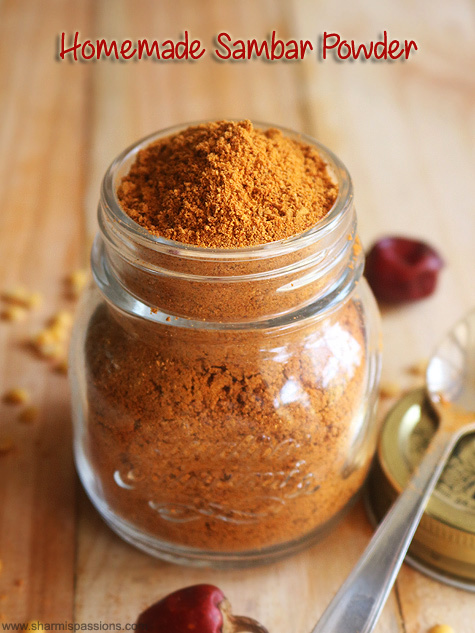 This is a truly excellent sambar powder recipe, and I've shared it with friends. Tell your mom she's made converts! The most unusual thing is it has no turmeric, but of course that can be added to the dal. Mine didn't look as orange as yours in the photo, probably because I only added 10% as many chiles. (I'm american.) I'm not used to roasting each ingredient separately, and have been lazy with just tossing them all in together, but I'm a convert. Again, thank you. I am a regular reader of your blog and your recipes turns out to be good.However when I tried your recipe for sambar powder it turned out too spicy when I made sambar with it and couldnt consume only.I had used 3 cups of long variety red chillies not the kashmiri chilli which could be the reason.pls let me know if there is any solution to reduce the spiciness of the powder like adding any dal? Hi Sharmi great sambar powder recipe. How to measure coriander seeds (3/4) cups? Awesome!! My husband is a big fan of sambar made using this podi. Amazing!!! Keep posting such great authentic recipes!!! Is the mustard seeds only 1/2 tbsp? Looks a lot more. Please help.